Computer programming teaches you how to think logically. Computer programming requires the coder to break down problems into smaller and smaller parts, and ultimately translate them into languages that border on the mathematical. Learning this skill serves students well not only in terms of learning other logical disciplines (such as math, physics, and philosophy), but also in life in general. When goals are approached with logical analysis, they turn into accomplishments. When problems are broken down into their constituent parts, they are far more easily solved. Anyone who wants to build something great or solve a big problem in this world, as an entrepreneur, scientist, or engineer, could benefit greatly from the thinking skills gained through the process of learning to program. IT professions are lucrative, and there’s a huge demand for new talent. According to the US Bureau of Labor Statistics, Web Developers took home an average of $64,970 in 2015, and Software Developers averaged over $100,000. Job growth is listed at 17% for Software Developers, and a whopping 27% for Web Developers; both are “much faster than average” according to BLS, which lists the average job growth (across all professions) at only 7%. Code.org estimates that by 2020, there will be over a million unfilled coding jobs in the United States, resulting in an unprecedented demand for anyone with coding skills. Students who learn to code will be at a huge advantage, receiving torrents of employment offers in a job market that literally cannot fill its demand for coding skills. We are already introducing students to a wide range of skills they need to work in less lucrative industries. Giving students an introduction to coding skills will give them a huge boost in terms of being employable as soon as they graduate from high school, college, or vocational school. Computers are becoming more and more ubiquitous in society, and in daily life. The first iPhones came out in 2007. Now, less than 10 years later, more than 68% of US adults (and 86% of those between ages 18 and 29) are walking around with smart phones. The iPad was only introduced in 2010, and today 45% of US adults own at least one tablet computer. Wearables are still in their infancy, but the number of people wearing smart watches, smart glasses, and other forms of wearable tech, is projected to triple in the next five years. This past week, SONY introduced a patent for contact lenses that can record photos and videos, with activation and focusing controlled by the user’s natural eye movements. It would take a world-class inventor — or science fiction writer for that matter — to even imagine what the coming decades will bring. And, of course, with all of these large-scale changes in the way the global human population interacts with technology, the demand for people with the skills to create and manipulate these technologies grows at a rate that we may not even, at this point, be able to predict. The fields of robotics and computer technology have greatly reduced the need for workers in a wide range of “repetitive” professions (assembly line workers, bank tellers, grocery clerks, etc). The only jobs that were “safe,” until this point, have been non-repetitive “skilled” jobs, which have, so far, been out of reach for robots and computers. As Artificial Intelligence continues to advance, more and more “skilled” workers are being replaced by machines as well. As AI continues to develop over the next few decades, the safest jobs may indeed be the ones that involve programming, coding, and controlling the technology itself. 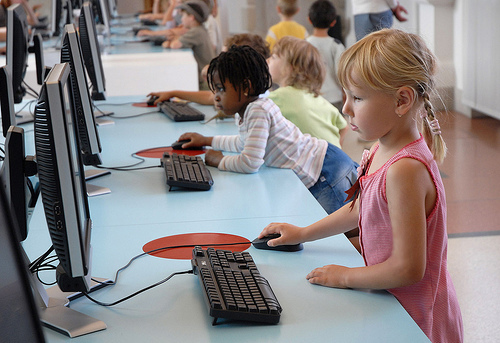 It is vital that within the next few years, schools across the country (and throughout the world in general) implement computer programming in their curricula. For now, students may be advised to learn on their own, through the internet, or to take courses through vocational schools, colleges, and Universities. However they choose to do it, be it on their own or through a school, every student, in today’s world, should learn to code.